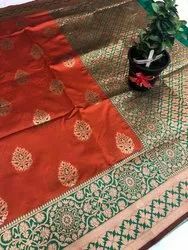 Providing you the best range of pure katan silk sarees and katan silk saree with effective & timely delivery. It pairs with contrast blouse with border to make the look even more classic and graceful. 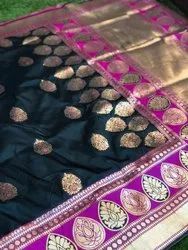 Exult this festival/wedding season with this incredible weaved pure katan silk sarees, that is high in quality and weaving all over the body with Mina work .